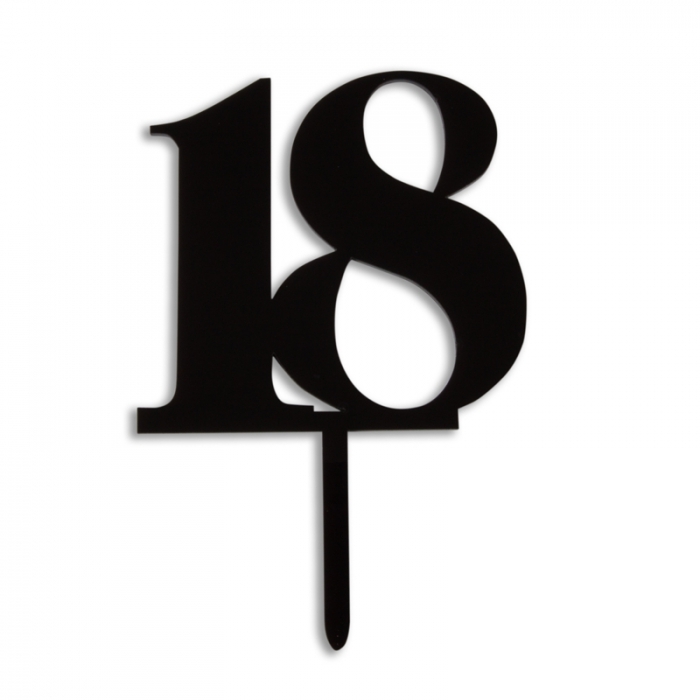 Acrylic Cake Topper with gorgeous 18 in Didoni Style Font. Measures approximately 70mm (h) x 80mm (w) with 40mm pick. 2mm Thick. Please Note: There is a protective film over the topper on both sides that needs to be removed prior to use.